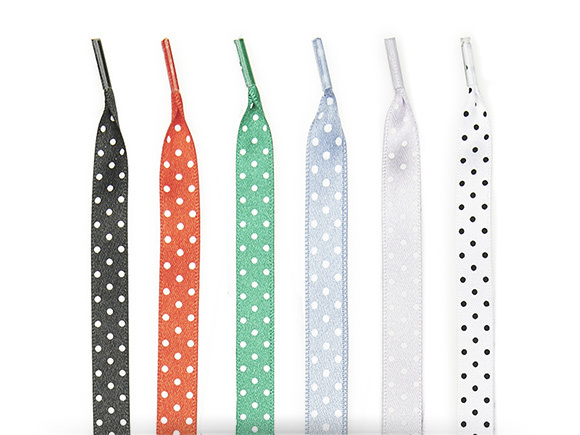 Polka dotted silk shoe laces for women’s shoes at SHOEPASSION.com. It does not always have to be black or brown. 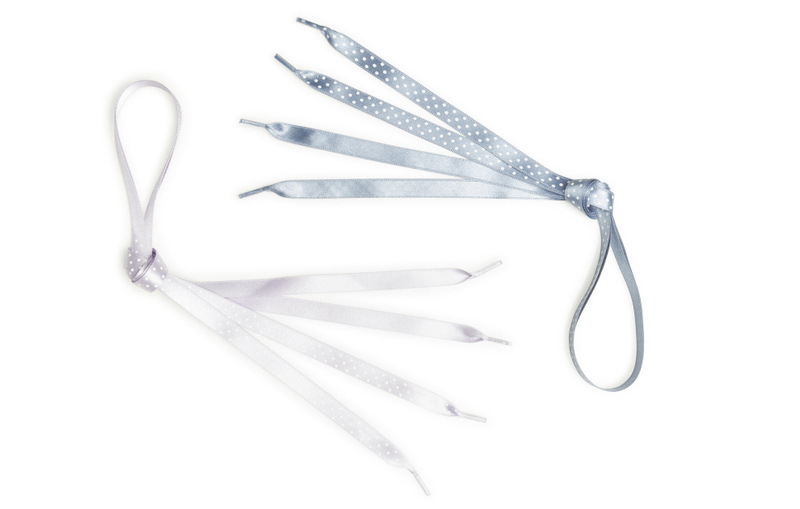 The polka dotted silk laces for women’s shoes bring some variety to the classically monochrome shoe laces. Available in different colours: blue, green, purple, red, black und white. 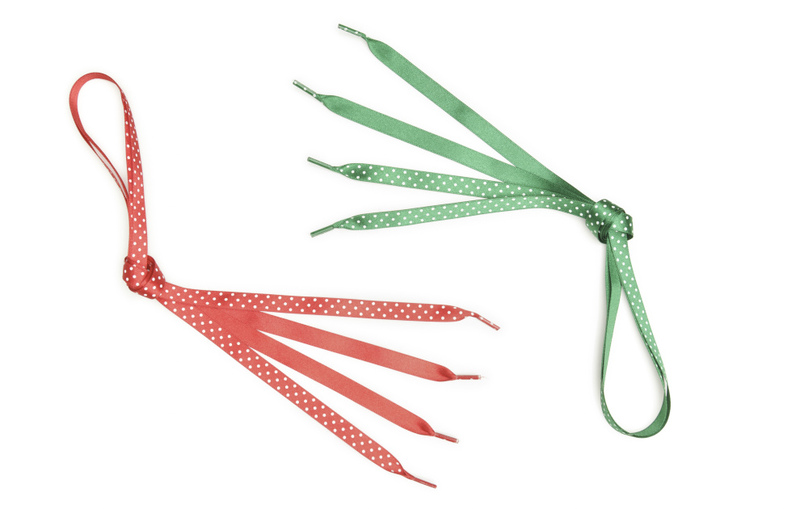 The polka dotted shoe laces are 10mm wide. The ends of both types are sealed with celluloid, which prevents them from fraying. 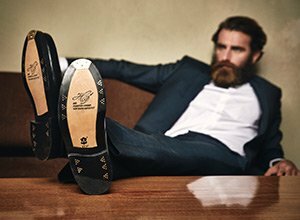 At the same time, these aglets make it easier to guide the shoe laces through the eyelets of your shoes. 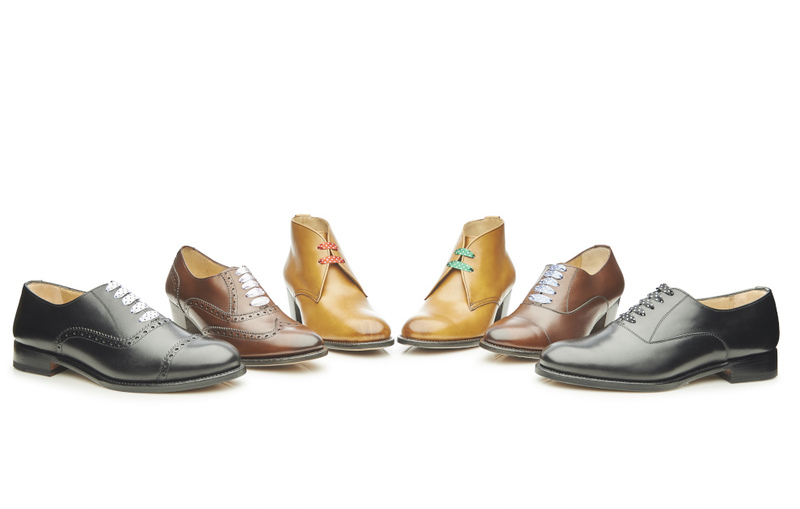 Thanks to their wide shape, these silk shoe laces are truly eye-catching—they lend classic footwear like Oxfords and Derby shoes a modern touch. Whether you match them to the uppers of your shoes or use them to create a colour contrast, these silky laces are a great way to show off your sense of style.